Pink with hot pink veins. 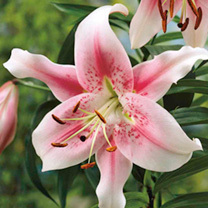 Up to 40 20cm (8") diameter flowers per plant once mature! Flowers July-September. Height 2-2.5m (6'-8'). 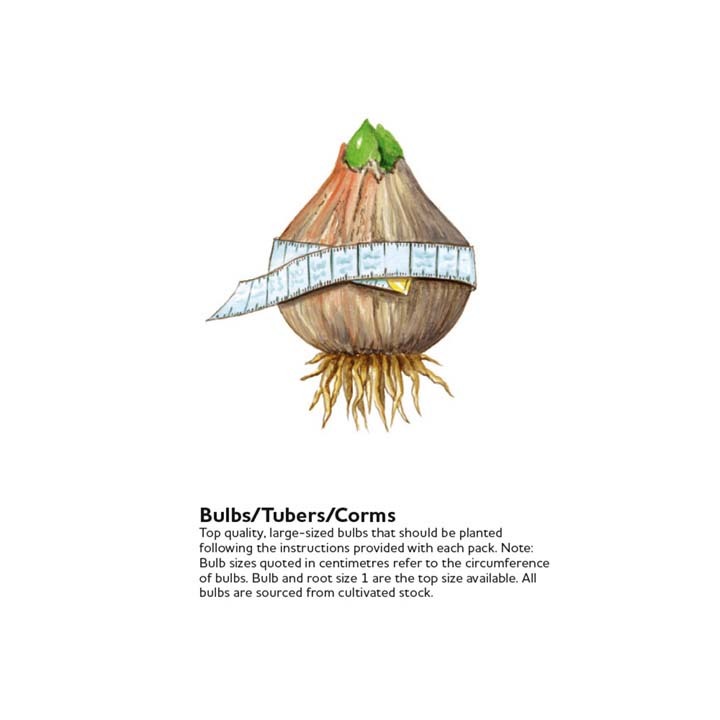 Bulb size 14/16cm. Lily Trees - An extremely impressive lily, crossed between an oriental and asiatic, bearing the benefits of each - their beautiful fragrance and vibrant colours will attract pollinators but these fantastic flowers will also be the centre of interest of your garden this year!